A short boat ride away from the Male airport, on the North Male Atoll, lies the Maldives very first resort. So, we could not think of a better place to start off with our first trip to the Maldives! It’s a wonderful resort with a long history, plenty of charm, and vibrant tropical gardens. After, serving thousands upon thousands of guests the resort knows a thing or two about showing visitors a good time with plenty of activities. All while staying in wonderful bungalows spread around the island with easy access to a white sand beach. 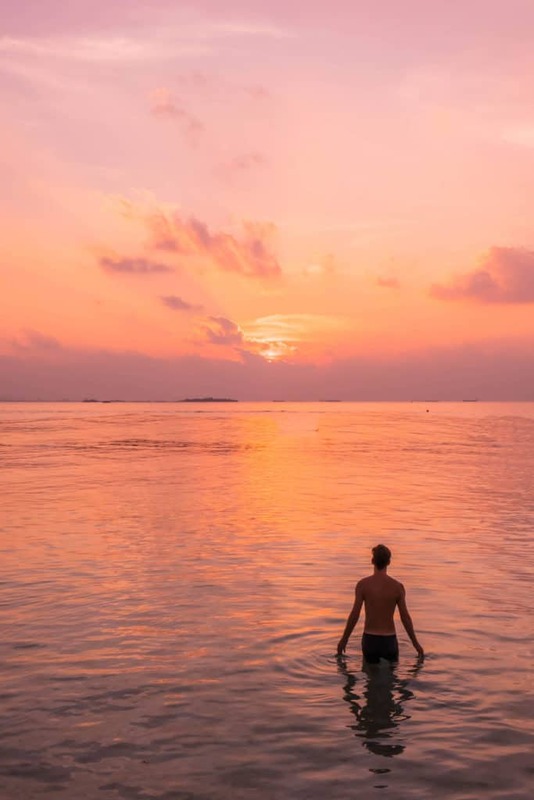 We didn’t know what to expect with its proximity to Male, but after stepping off our speedboat and onto Vihamanaafushi (the island) we were in heaven. We were shocked by how close Kurumba Maldives is to Male. Literally, you can leave the Male Airport and five to ten minutes later arrive via speedboat to Kurumba. You can see the city very clearly from Kurumba. This is both a good and bad thing. 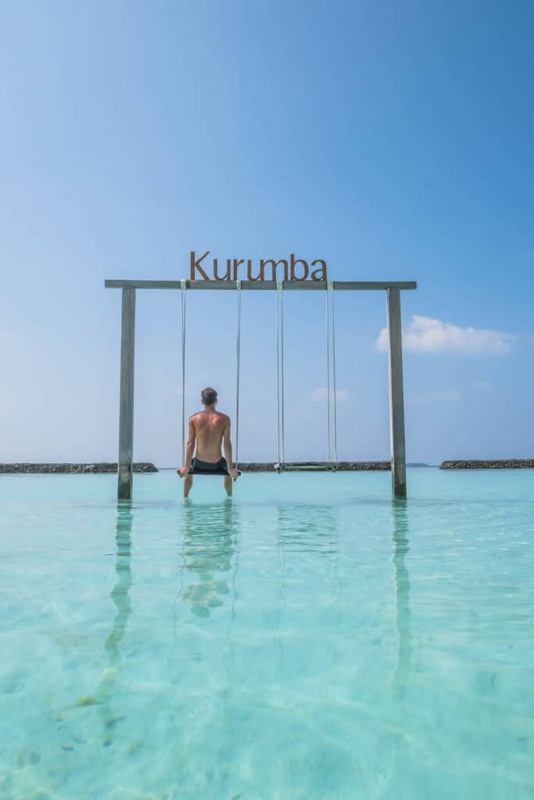 For families and other vacationers who have had enough flying and traveling to reach the Maldives, they can rest assured Kurumba is only a five-minute boat ride away. On the flip side being so close to the city means…well you’re near a city and can see all the things you may be wishing to escape. If you are arriving late at night to the Maldives, Kurumba is a great option as the speedboat runs 24 hours. This is opposed to taking a seaplane, as those only operate during daylight. Once you get over the novelty of taking a seaplane they’re quite uncomfortable flights. Seaplanes in the Maldives are operated almost exclusively by TWA who own a massive fleet of Twin Otters. The seaplanes are expensive, loud, hot, and cramped—almost certain to induce nausea if you’re trapped on one for long. So when we compare the journey required by other resorts in the Maldives, Kurumba is a breath of fresh air. When we arrived we were surprised and delighted to find out that Kurumba Maldives is the first ever resort to open in the Maldives. In 1978, Kurumba Maldives opened it’s doors to travelers and has been operating ever since. You may think that because of this the property is dated, but we found it to be the opposite. 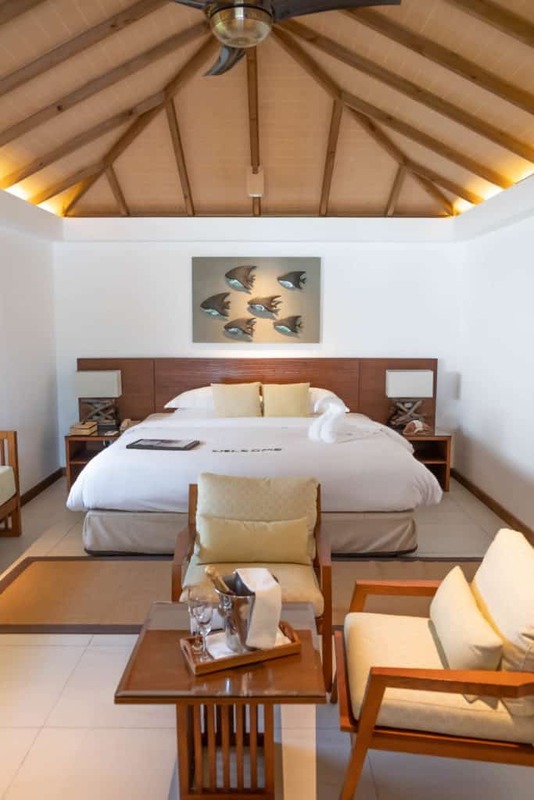 Facilities at Kurumba Maldives are new, modern, and well maintained. From the pool to the bathrooms, many restaurants, and even the grounds the property is immaculate. A recent renovation has left the resort in top shape with perfectly manicured grounds around the island. We spent much of our time ambling around the island and walking through the lush gardens before stopping for a drink at a beachside bar. 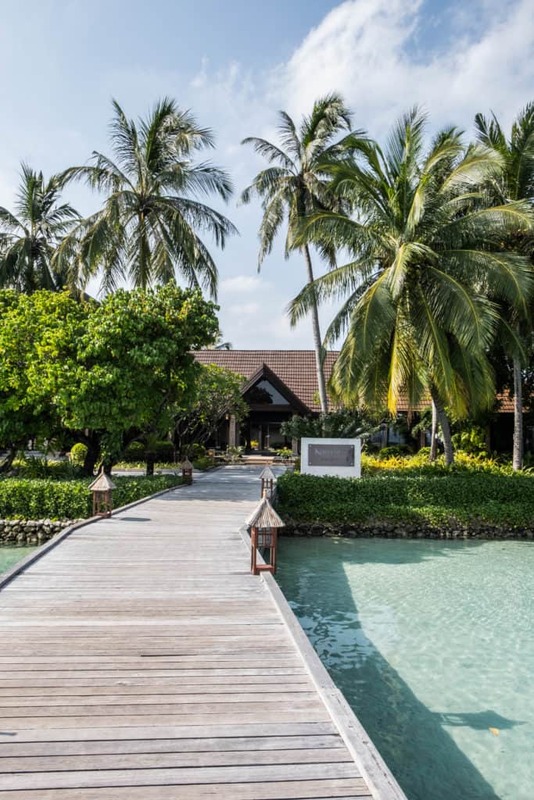 Because Kurumba is the first resort in the Maldives there are no overwater bungalows around the property. They may be all the rage now, but Kurumba is too close the city to now build overwater bungalows. 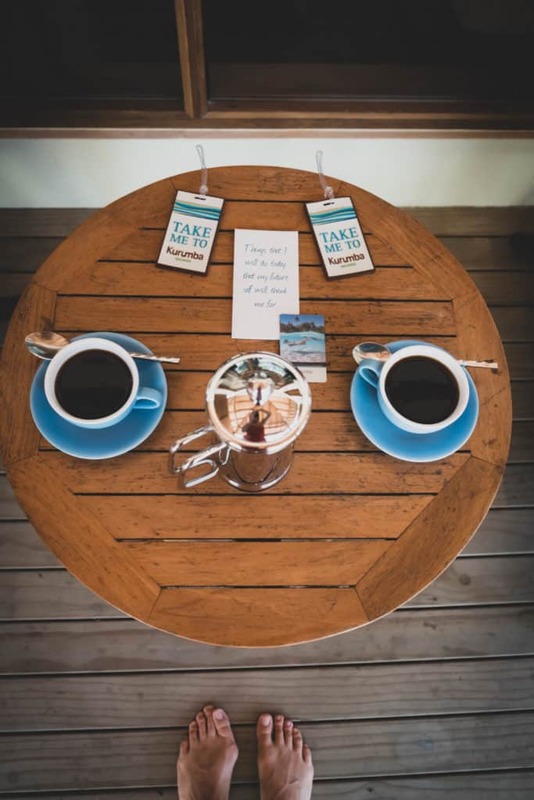 Nevertheless, we were given their most common deluxe beach bungalow room and although we were hesitant at first we ended up really loving our little home away from home. The room was spacious, with a very comfortable king bed, complete with a Nespresso machine and two complimentary large water bottles. 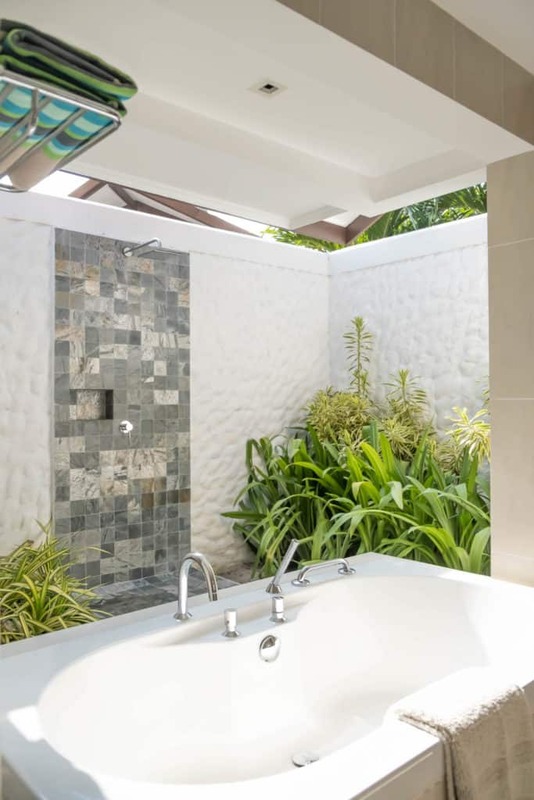 However what we really liked was the outdoor open-air bathroom. Two showers and a bathtub with eco-friendly toiletries (no single-use plastics) make us happy campers. With 15 days in the Maldives, we were given a lot of food to try. I am happy to say that Kurumba Maldives had some of the best we experienced in the Maldives. With decades of experience, the food and beverage team clearly knows what they are doing when catering to guests. A wide and varied menu with multiples restaurants ensures everyone stays happy and full. Most visitors to the resort will have either a half board, full board, all all-inclusive option. Breakfast, lunch, and dinner are all served in the main dining all buffet style. For buffet food, we found the ambiance and food amazing and fresh and the menu actually changed every day while catering to an international audience (many resorts in the Maldives cater to the Asian traveler). For those that aren’t feeling the buffet, Kurumba has a plethora of a la carte restaurants including the award-winning Thila. We dined one night at Thila and another at their Indian restaurant. Other highlights include an Arabic restaurant, Asian, and international restaurant. 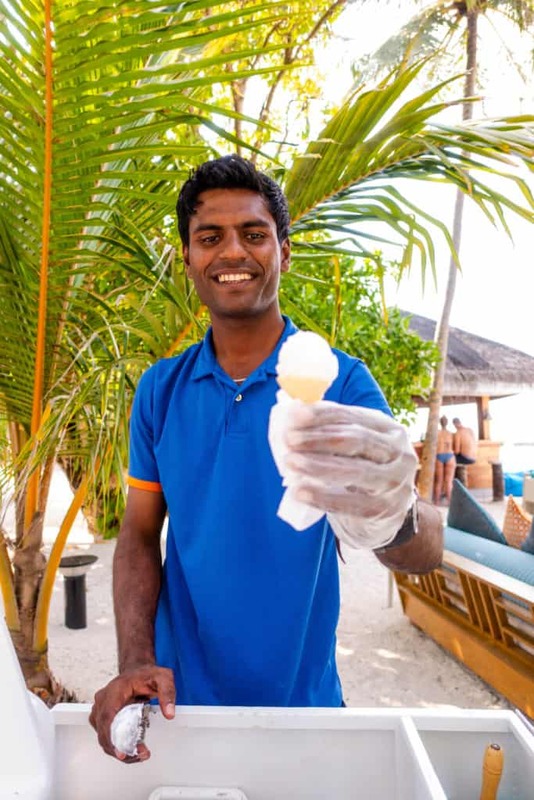 The staff at Kurumba are incredibly kind and helpful. Every excursion we had was met with prompt and courteous staff members from all over the world! We had great interactions with them and the wait staff were quick to meet any need we may have during meals times. When it came to the rooms the cleaning staff would accommodate our times out of the room and supply us with fresh water or towels whenever we felt the need. It was altogether a phenomenal experience. We were super fortunate to hook up with Euro Divers Maldives, hands down our favorite dive company in the Maldives. We spent a full day out on the boat with them and took part in three solid dives. Gabriella, the manager, and awesome dive master took us out and showed us the best around Kurumba. Diving in the Maldives was actually our first fun dive after getting certified in Bali and I was still nervous about being underwater alone. Gabriela made me feel extremely confident in all our dives. You may think that because Kurumba is so close to Male the diving isn’t great, but this is far from true. 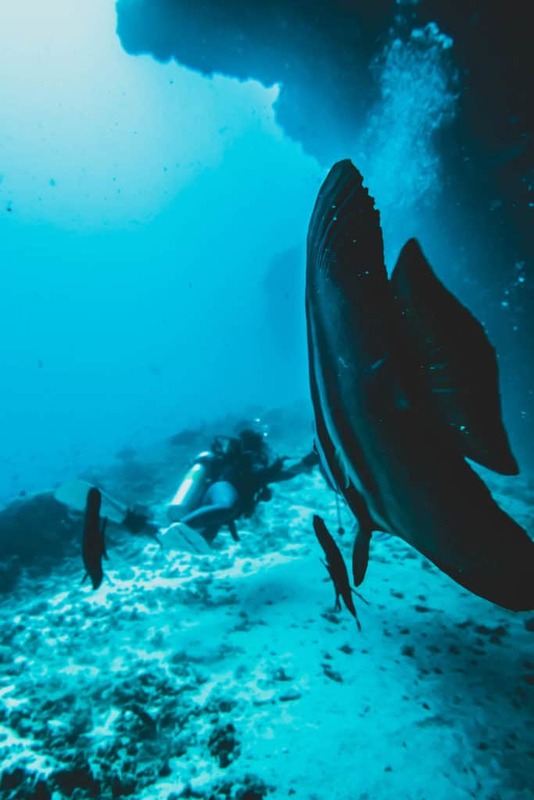 The Euro Divers team still took us around to some vibrant dive sites where the fish were plentiful. If you’re interested in diving in the Maldives I highly recommend Euro Divers. 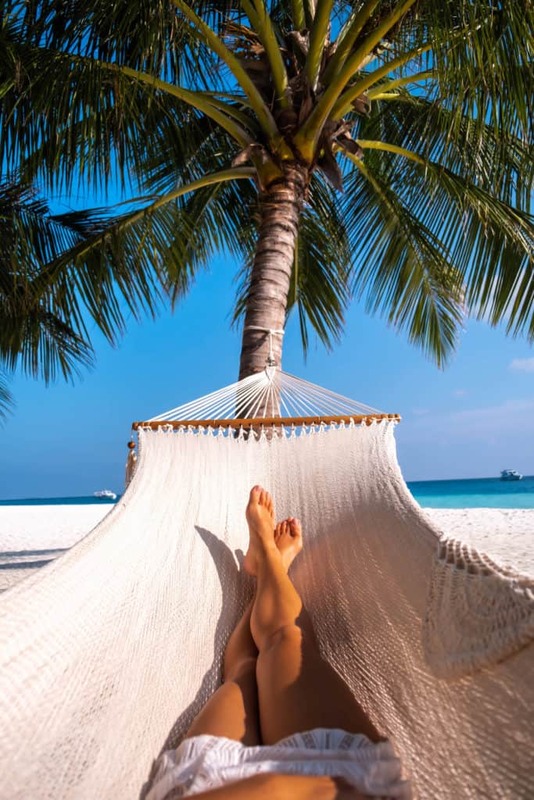 Of course, you are in the Maldives so perhaps all you want to do is lounge in the sun and drink pina colodas – and that’s okay! 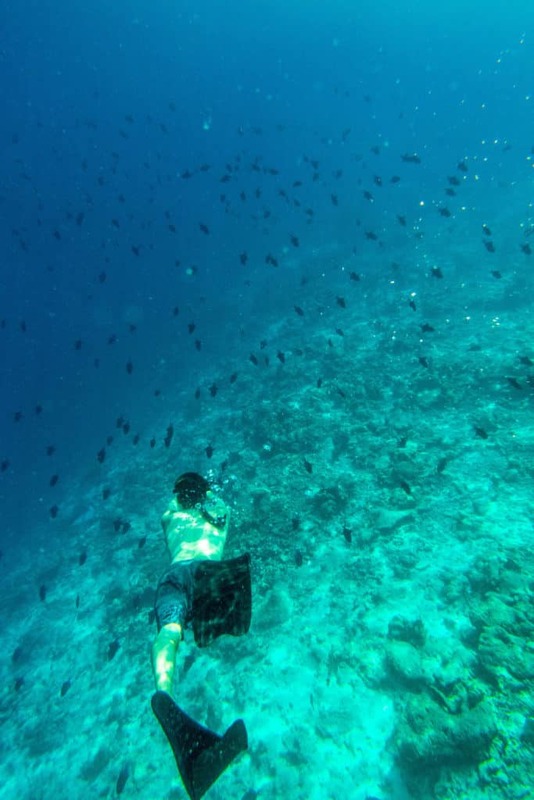 However, there are still many activities for all to enjoy at Kurumba. 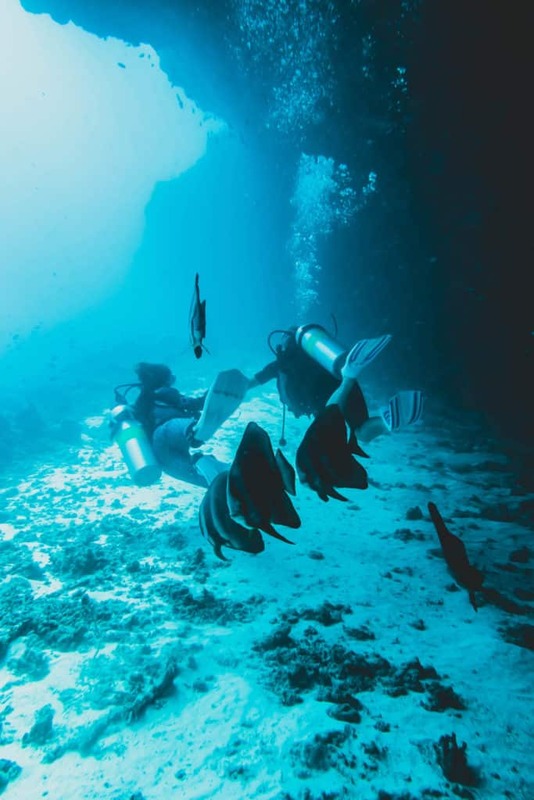 For starters, if you want to be off on your own you can rent a mask and some fins and snorkel around the resort. 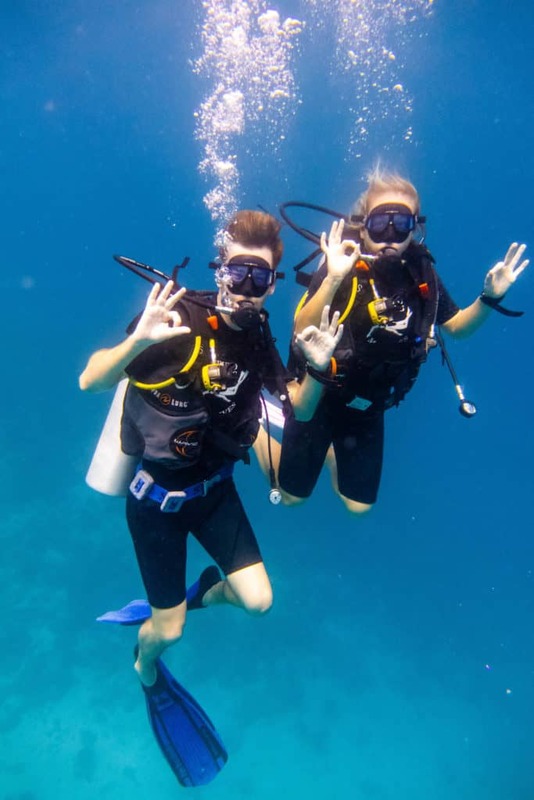 We personally chose to travel the Maldives with our own fins, mask, and snorkel so we didn’t have to keep paying for rentals and it was an amazing decision. If you’re really into snorkeling I can’t recommend your own gear enough. 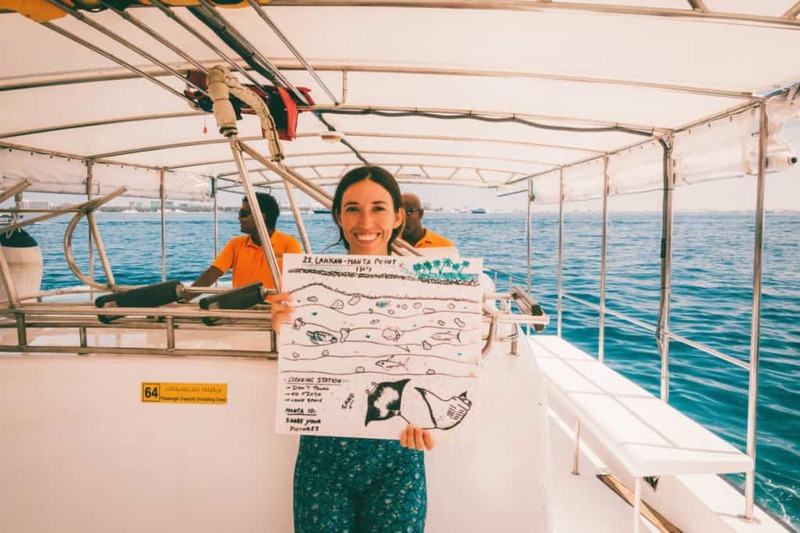 Other activities include group snorkeling, dolphin watching, kayaking, stand up paddling, sunset fishing, and a Male tour. 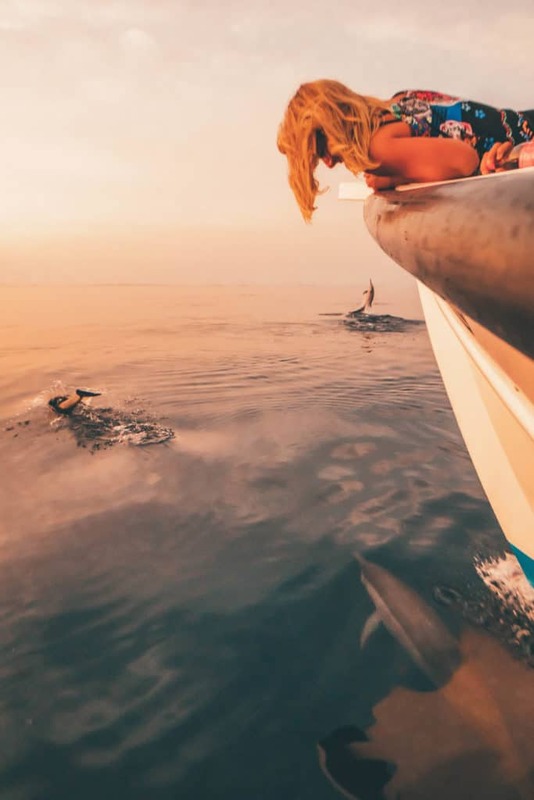 We went out with the team to go on a dolphin sunset cruise with little expectations. We were about to cancel the trip as we aren’t big on touristy things like dolphin watching, but after the trip, we were happy we didn’t as it was amazing! 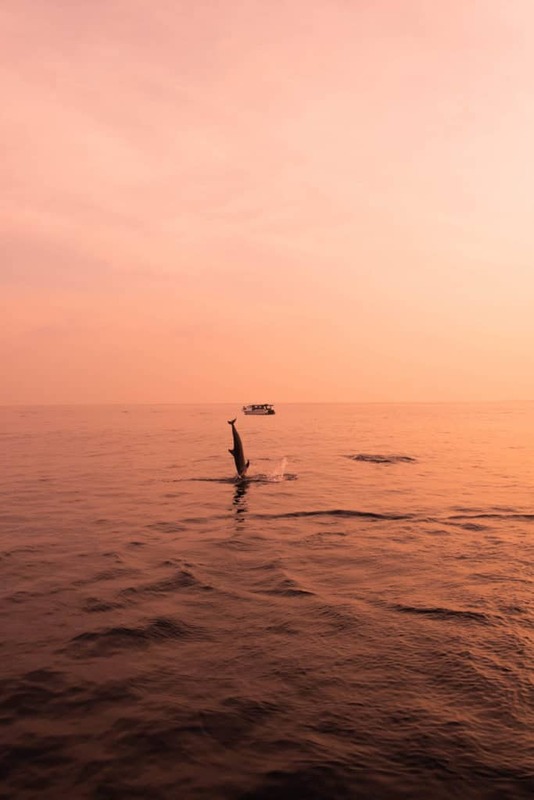 Many of the dolphins in the Maldives are called spinner dolphins. When they get excited they will jump high out of the water and spin. The sight of dozens of dolphins jumping out of the water was a spectacular show. On top of that, they have fun with the boats and will chase them through the water. 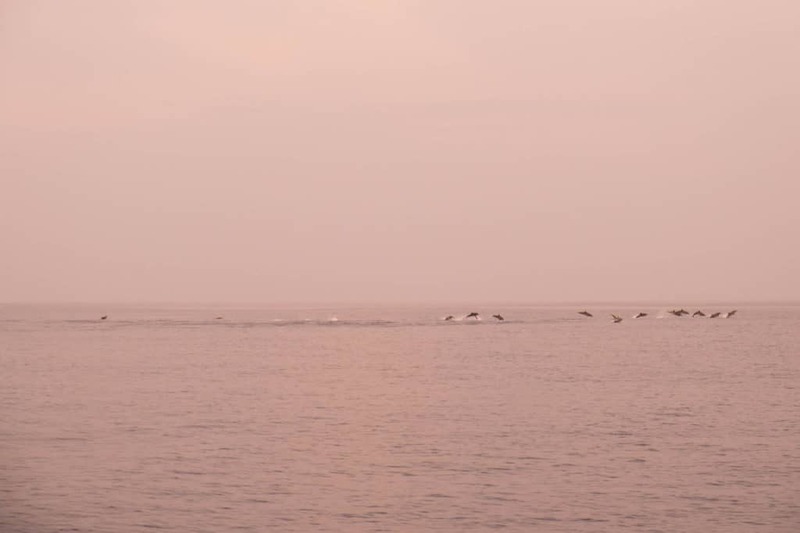 For about two hours we were surrounded by 150 dolphins which were an unforgettable experience. 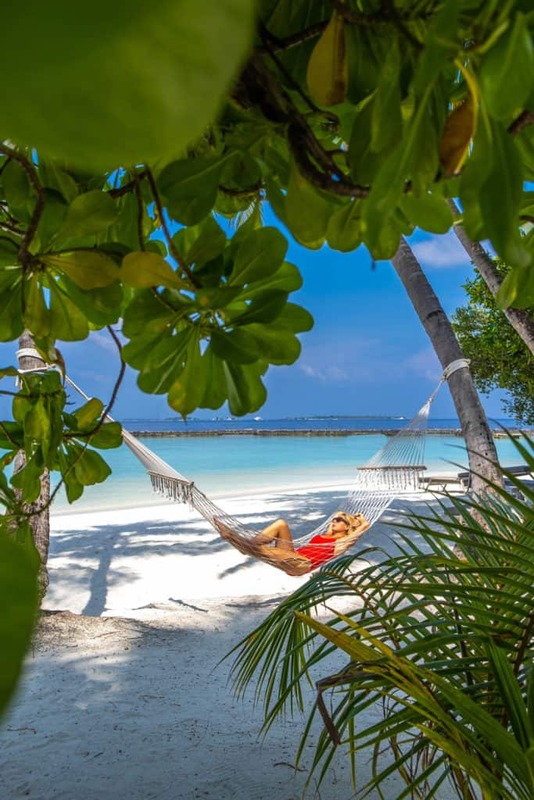 Couples with kids will also love Kurumba Maldives as there is a full schedule here every day. Things like yoga, game room time, and coconut painting are fun activities you’ll likely find on the schedule. There is also a big kid center at Kurumba with trained staff to take care of the little ones so you can properly enjoy your vacation. This was the only time we had the chance to visit the spa in the Maldives and it was simply superb! I don’t think I’ve felt so relaxed in a spa since I landed in Langkawi after a red-eye flight. Most of the masseuse I saw at Veli Spa were Thai and used the same excellent techniques I’ve received for massages in Thailand, just with the tranquility of the Maldives Islands. You won’t have any regrets booking a treatment at their wellness center. 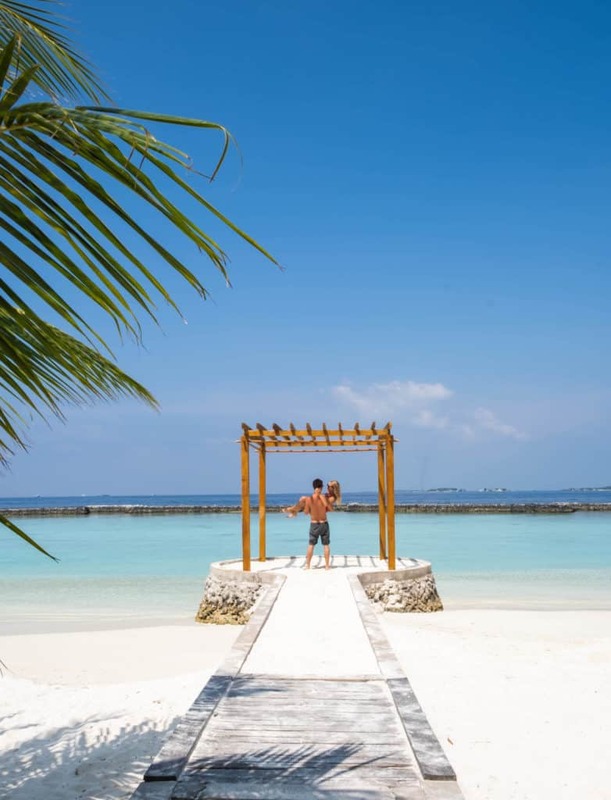 If you are looking for an easy and affordable Maldives vacation just minutes away from the airport Kurumba is a great call. All the amenities are spotless and modern, the beaches are completely relaxing, and the food will wow any international traveler away. 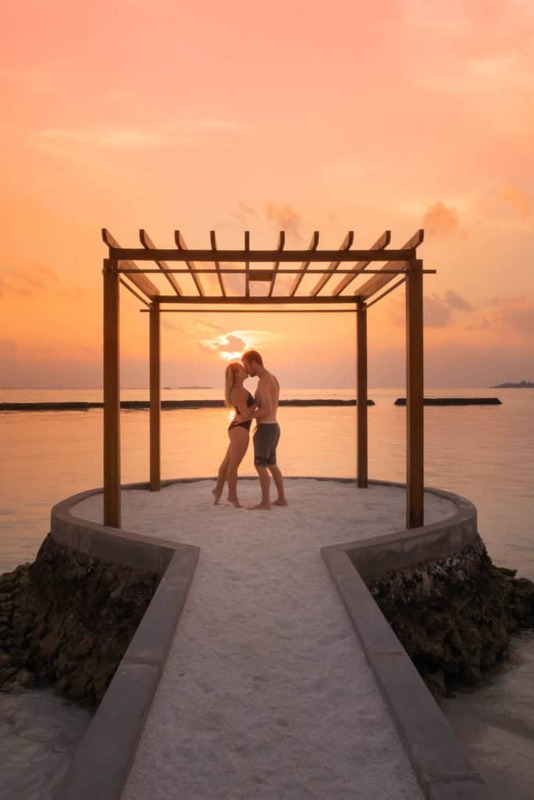 We also found Kurumba Maldives to be kid and family friendly, but still good for couples who are looking for some hidden romance. 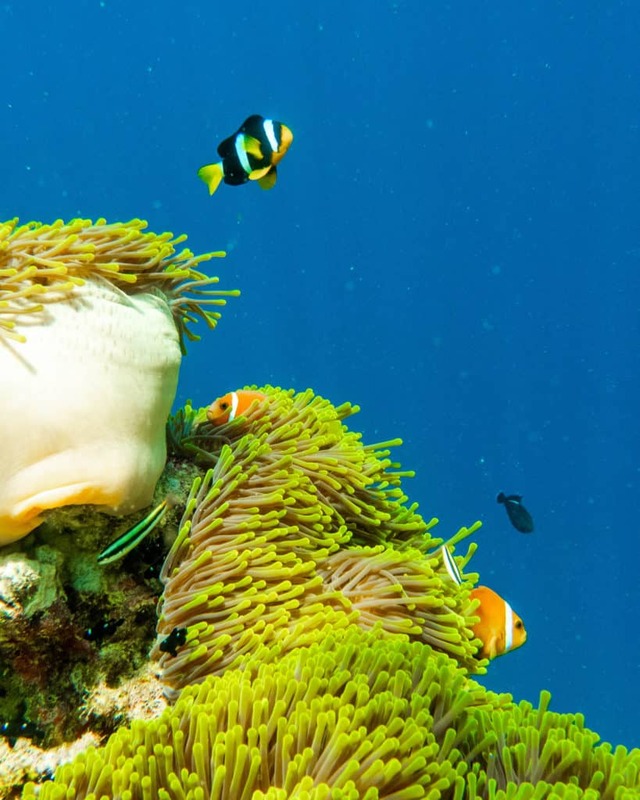 Combine that all with world class diving and fun excursions and you have yourself a fantastic vacation planned ahead of you.